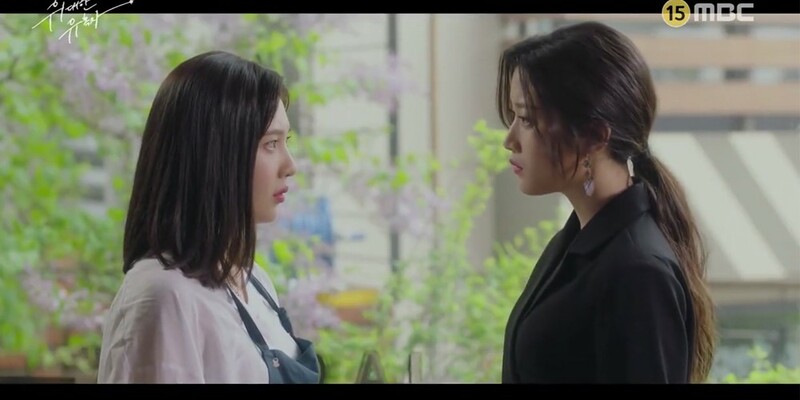 It really is tragic to think of what a close, more-than-friends but less-than-family relationship Kwon Si Hyun (played by Woo Do Hwan) and Choi Soo Ji (played by Moon Ga Young) had before this whole mess started. But now, all sorts of feelings and events have turned more sour and sour until these two friends have become, almost mortal enemies. Okay but what about Grandma? Is she good or evil? "Our kids are just not behaving man... wait. We're the kids here!" And last but not least, Se Joo confessed his feelings to Soo Ji~! !